The Studium's lecture room is used for lectures on Catholic theology, Church history, Ecumenism, Christianity, Judaism and Art, but the Studium Catholicum is also involved in international consultations and conferences. Information about seminars, lectures and other events is available in the calendar as well as on the News page. The Helsinki Consultation is a groundbreaking collaboration which brings together respected scholars – all of them Jewish – from a wide range of Jesus-believing traditions. The Studium Catholicum is one of the founders of the Helsinki Consultation and one of the main organisers of the yearly meetings. The 2014 Helsinki Consultation was held in the Netherlands on June 22nd -24th. Read more about the Helsinki Consultation here. 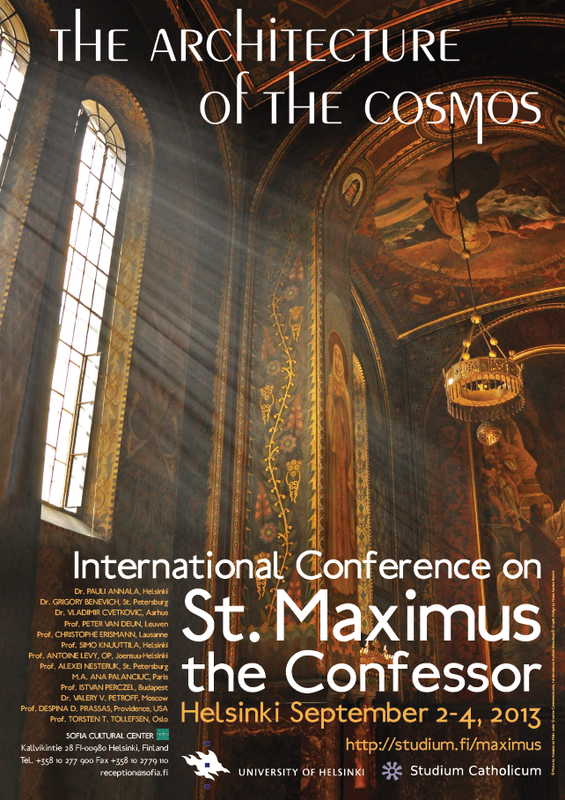 At the beginning of September 2013 the Studium Catholicum arranged an international conference on St Maximus the Confessor in collaboration with the University of Helsinki. The 2013 Maximus conference The Architecture of the Cosmos was held at the Sofia Cultural Centre in Helsinki on September 2-4, 2013. The language of the Maximus conference was English and the conference website is also in English. This is the conference's Facebook page. The Acts of the Conference will be published in mid-2015.